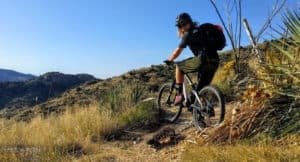 HG is excited to offer a series of Ride Clinics designed to expose riders to the unique terrain on Mt Lemmon. This series will focus on skills necessary to ride Mt Lemmon trails proficiently, faster/smoother, and with more confidence. Each 3 hour clinic will focus on a specific set of skills, and on a certain trail. This series will continue into 2019 with clinics offered on various Mt Lemmon trails. For November/December, we will focus on Prison Camp Trail. Each clinic will have at least two Coaches for a group of no more than 10 riders, and shuttles will be provided for maximum trail time. Prerequisites: All riders should be “intermediate” with some exposure to Mt Lemmon trails. A full-suspension bike with a dropper seat post is required. Want to try a new bike? 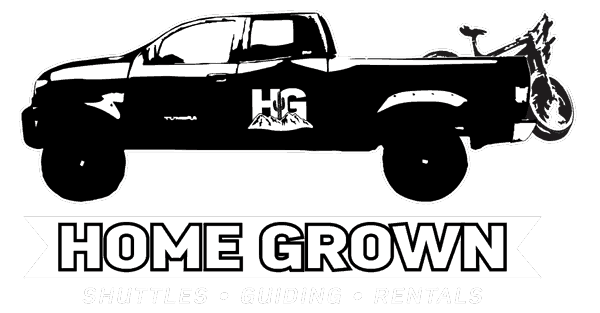 Rent an HG machine for an additional $60 per clinic. Choose the clinics you’d like to attend, or register for all 4 and save $10 per clinic! Post ride refreshments and prizes will be provided! Phil is a founding member of TORCA, and HG Guide. Phil spends more time on Mt Lemmon than virtually anyone around, and knows the trails like the back of his hand. If you’ve ever had the pleasure of riding with Phil, you know his style is smooth, his line selection is unique, and his ability to surf the dirt is truly an art. Recently, Phil led a backcountry, multi-day guided trip for HG that included a 20+ mile per day pedal in some of the most unforgiving terrain anywhere. Phil is the epitome of preparedness, a trait that serves him and his riding partners well. Tim (or “Timmy” as he’s known to his friends) is a Tucson transplant from Bend, Oregon. Tim is a Doctor of Physical Therapy, a BME Enduro Series Champion, and easily the most fit person you’ll ever meet. Just for fun, Timmy sprinkles in an occasional ultra-run. Often you’ll find him turning over trailside boulders looking for desert creatures or scouting the forest for elusive species of mushrooms. Also the winner of various local races, such as the Lemmon Avalanche and TORCA Funduro, Timmy is FAST! With all his radness, he is also a helluva nice guy and super humble. HG is lucky to have him as a Guide and Coach! Tara has dedicated her life to the sport of MTB. While she never quite had the “head” for racing, a short stint in downhill landed her on the podium numerous times. Tara is a coach for the global MTB skills clinic, Ladies Allride. 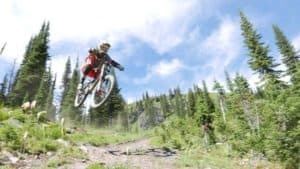 She is also a founding member and current President of TORCA, with thousands of hours of volunteer work slinging dirt and rock to make the trails better for everyone. Tara is a PMBIA Certified Coach, with an exceptional knack for pushing riders to help them break free of their self-imposed limitations. Using a logical approach versus a fear based approach, Tara helps her coaching students develop the skills to make solid decisions on the trail. As one of the very first of only a few female riders on Mt Lemmon, she often chased some of Tucson’s fastest riders on trails like Aspen Draw, during countless hot laps when the original “Freeride Friday” was still in play. Juan is a motocross rider turned mountain biker, with his sights set on the podium! Juan spent all season training hard and racing as much as he could, landing on the podium numerous times in the Pro class. Juan can often be found in the air, and is known for winning the AngelFire Gravity Games “Whip Off” Contest. Juan works exceptionally hard at everything he does, and applies this same work ethic to his riding. 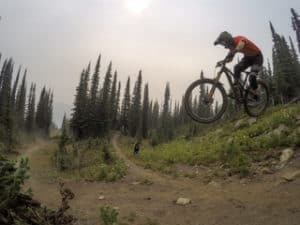 As a PMBIA Certified Coach, Juan spent many summers coaching riders at AngelFire Bike Park, of which he also spent time throwing dirt and developing trails in AF’s early years. Now a full-time Tucsonan, Juan is ready to help other riders develop their talents. Art is the founder and former President of TORCA, and has spent the last 10 years working to develop Mt Lemmon as a mecca for mountain biking. A self-described “gravity rider”, Art loves going really fast downhill. 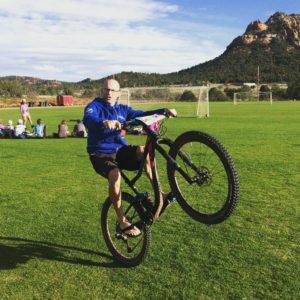 However, you will often find him pedaling up Catalina Hwy for an evening shred down Bug Spring or Prison Camp, some of his favorite trails anywhere. Art is a PMBIA Certified Coach, and has had several “students” successfully progress their riding skills under his watch. Art is a true leader in the MTB community, and his contributions to the riding on Mt Lemmon are undeniable. As a rider, Art is as experienced and competent as they come. He is an articulate Coach with a toolbox full of tricks, ready to spread and share the stoke!